Get excited... it's our very first nursery post over here on Ten June! Woot woot. Some of you might think we're crazy, but as I discussed here and here, David and I have decided to go ahead with getting nursery plans together for our little pea pod, even though our house is on the market. Basically, we'll just handle a few things in a different order (ie. where we would normally start with painting the room, we may save that for down the road) but overall we're ready to dive right in. Hey, we can throw a crib in a moving truck, right? First step? Which room to choose as the nursery?! Our house is a three bedroom ranch (with a finished room in the basement that could be a fourth bedroom, but that we have always used as an entertainment room), so we've basically got two extra guest bedrooms to choose from for the nursery. Choice one is the larger guest room which sits in the front of the house near the living room and guest bath. 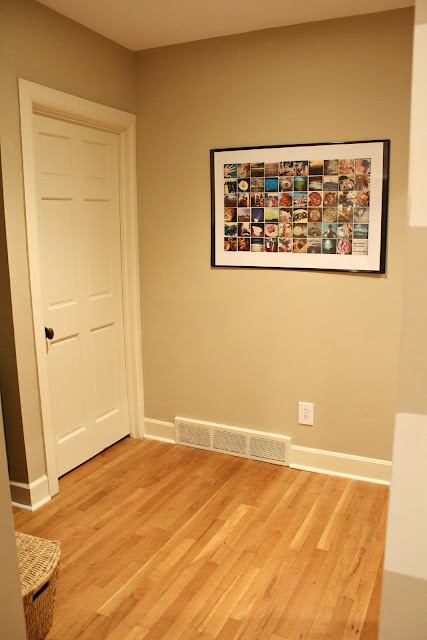 I haven't done a ton with this room, so you don't often see it on the blog. But I pulled some recent pics from my realtor's website (thanks!) so you guys could get a good idea of what we're working with. Yeah, don't judge that ugly duvet. Like I said, work in progress. You can learn more about the room's Pepto Bismol before right here. 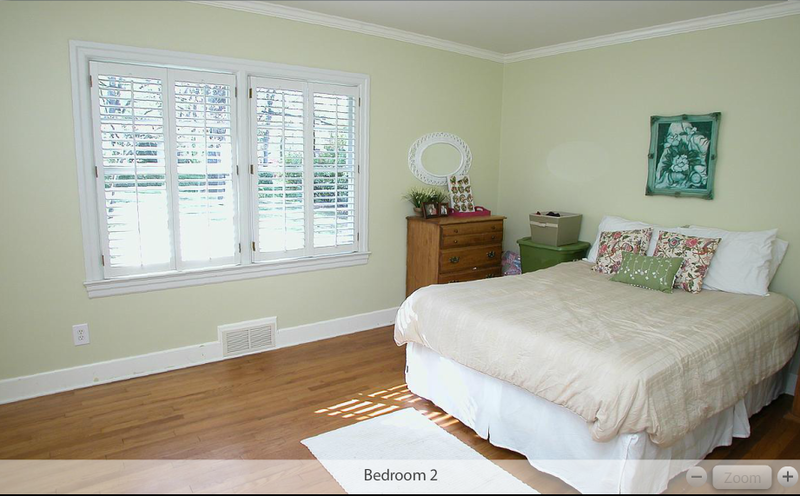 The second choice is the guest room in the back of the house near our master bedroom. This room is separated from the main living spaces of the home by our office. As you can see below, it shares a hallway with our bedroom and the stairs down to the basement. As you can see, we use the room for storage right now. So in order to make it into a nursery, we'd have to clean it out and give it a good paint job. 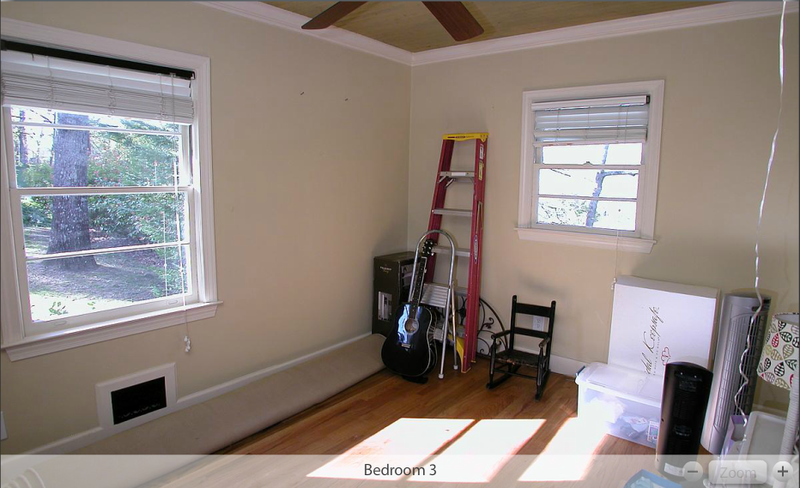 But this room has some good bones... check out the bead board ceiling in this photo from the previous homeowner. 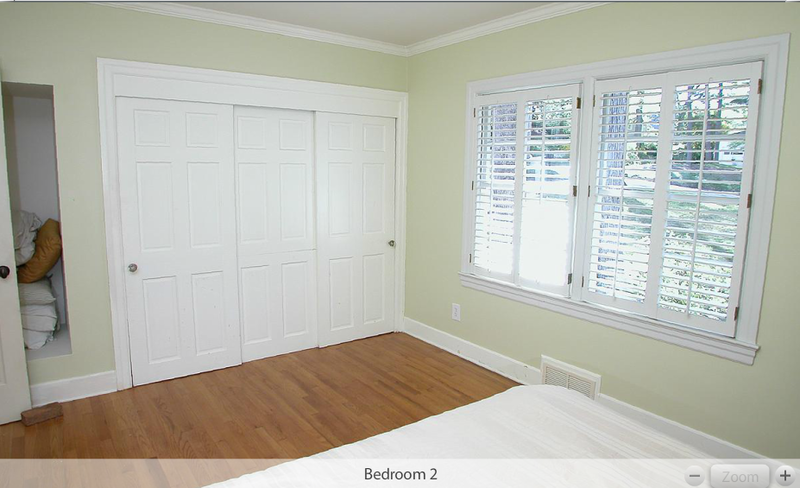 So, will it be the larger, light-filled guest bedroom or the cozy, next-to-the-master space? Bing bing bing! If you guessed number two, you're correct! I'll snap a few more pictures once I get a list together in terms of what we're planning for the space. But until then, check out our newest room in the Ten June house... the nursery!! Psst! Check out the details of our big gender reveal day and party right here over on BabyCenter! I think you made the perfect choice. I think smaller nurseries are so cozy and cute. Your pea pod will love it! Ooops, forgot to add: CONGRATS ON A LITTLE BOY!!!! We're expecting a little guy, too. In just under 4 weeks. YAY! Can't wait to see what fabulous ensues! Yay! I can't wait to see it develop! That bead board ceiling is awesome and I definitely think that the room closer to the master makes perfect sense. Such a charming room for a nursery! Can' t wait to see the items you choose! Love your choice. The beadboard ceiling will be beautiful! Gosh the size of both of those is so dreamy. LOVE the beadboard ceiling and yes .. proximity is key. With a glossy white ceiling it definitely screams adorable nursery. Can't wait to see it all unfold! Perfect choice! 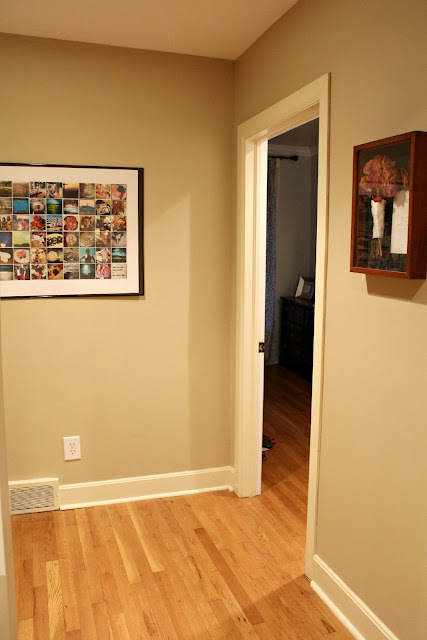 Plus the "staging" of the nursery might actually help sell the house!! Can't wait to see you work your magic! You will love being close to the nursery since you will be waking up so much at night. 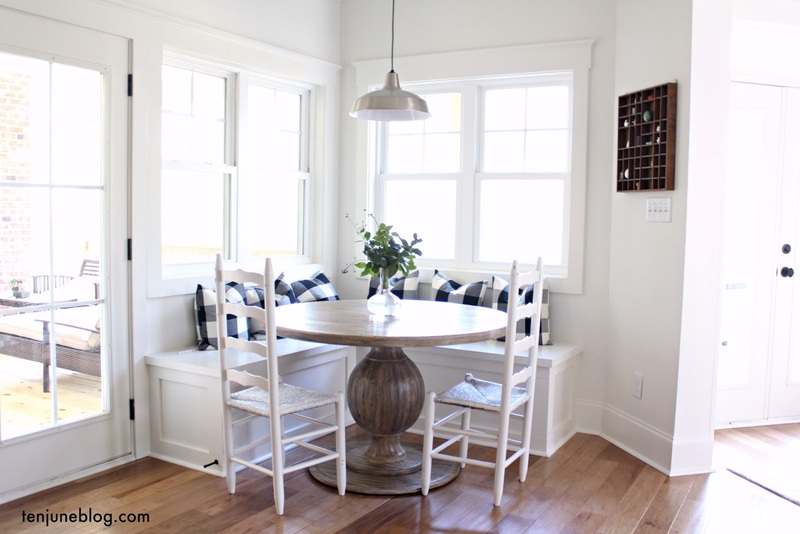 Plus - you know I love the beadboard ceiling! It will be so cute painted white with the room decorated as a nursery! How exciting! That definitely makes the most sense, I'm sure it'll be a beautiful nursery! Yay! So much fun to start planning a new room, whether or not it'll be permanent. Can't wait to see what you come up with! 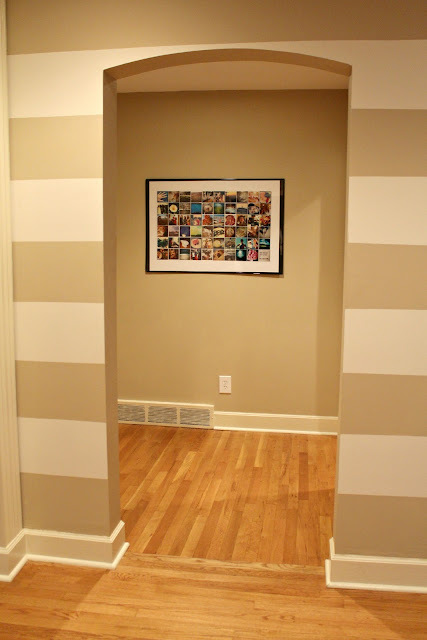 what is the paint choice you used for the storage room? I really like it.